I know a lot of folks like Gould's work, but I can't stand it. 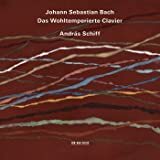 For my money, this is a wonderful Bach recording. It's more melodic than Gould's work, not so staccato and machine-gun-like. 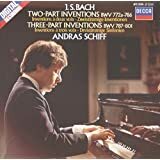 If you lean more towards Murray Perahia's style of playing Bach (his Bach keyboard concerto CD's are terrific), I think you'll enjoy the work of Andras Schiff on this recording. If you're a big Gould fan, maybe not. I have been playing this album almost non-stop since I got it. I played it for a room full of students practicing for a high-stakes exam. 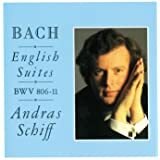 Now, I have a whole room full of new Bach fans. 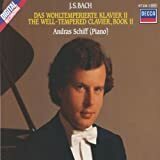 I'm not a music student so I can't explain what makes this recording different from others but it seems to have more precision than some others I have heard. 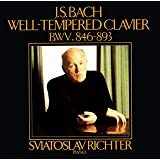 It's the precision that made me fall in love with Bach in the first place so it's the perfect way for me to listen. I've heard several pieces on the 2012 version and I think there is a more mellow, mature sound so I've put it on my Christmas list. 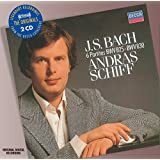 Still to me this album is the essence of Bach. 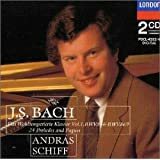 I like hearing Andras Schiff's interpretation of Bach and also enjoy listening to other pianists play Bach. I am not a super music critic, but just someone who enjoys the music played by great artists. 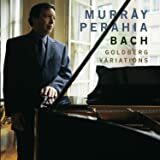 This is a really lovely recording. 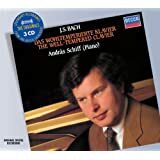 Schiff is a superb technical pianist who presents Bach cleanly. 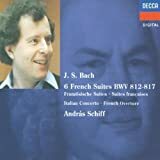 Some have (including me) have commented on Schiff's somewhat romantic tendencies in other Bach recordings. 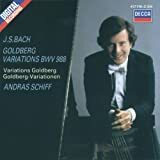 While I think this is true of his Chopinesque playing of the Goldberg variations, I think this set of recordings is very faithful to Bach. Relaxing, stress relieving, soothing. I love the piano for all the reasons listed. 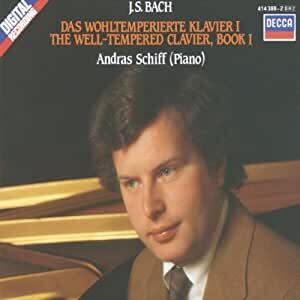 Bach is one of my favorite classical artists. I downloaded to a USB and listen in my car after a hectic day. Awesome.